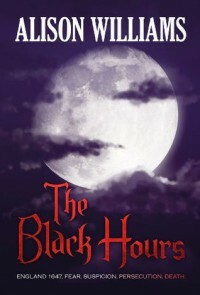 The Black Hours is an authentic historical fiction tale based on Matthew Hopkins, the self-proclaimed Witchfinder General, who sent hundreds of innocent women to their deaths based on false accusations of witchcraft. I found this tale to be so heartbreaking, it was difficult to pick it up at times. However, Alison Williams certainly did her research and wrote a fantastic tale. Alice Pendle and her grandmother use herbs and ointments to heal fellow villagers, and the villagers were content to use their concoctions until it benefited them to do otherwise. Oh, how quickly the villagers turn against young Alice. What I found interesting was the unique storytelling not only from Alice Pendle’s perspective, but from Matthew Hopkins’ as well. Though I felt dirty after getting a sneak peek into his inner thoughts. As the victim of abuse himself, he became a fanatic who convinces himself that he’s doing the right thing. In direct contrast to Hopkins is Constable Hargreaves, who is very admirable in his attempts to shield Alice from the rumors and escalating village confrontations, yet is unable to intervene to save her. As a first historical novel, Alison Williams’s The Black Hours is a stunning tale of the ordinary people whose lives were affected by the beliefs of those who had power over them.